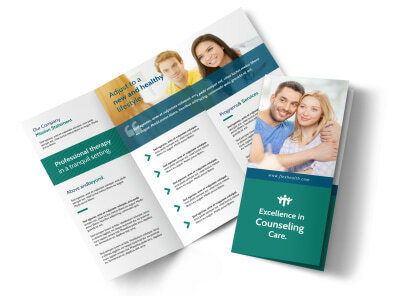 Customize our Teal Counseling Bi-Fold Brochure Template and more! 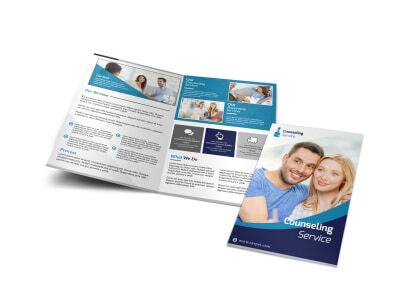 Instill confidence in your counseling services with this bifold brochure you customize yourself using our online editor. 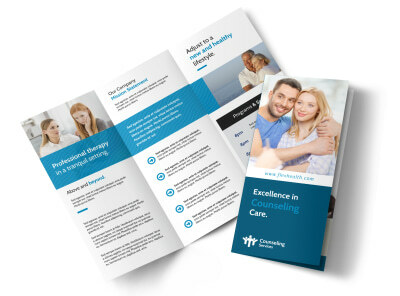 Run down your expertise and training, your background and qualifications, and spruce up your design with custom images and graphics. 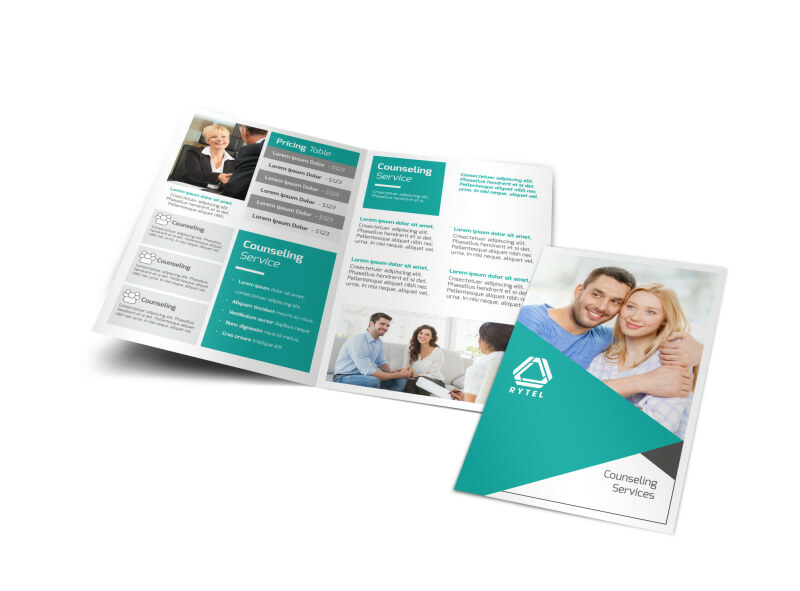 Print your brochure from anywhere, or allow our top-notch printers to do it for you.